Patience is a virtue. I lack. – HubNut – celebrating the average! Patience is a virtue. I lack. I’m not doing very well with my lack of 2CV action. I must concede, spending a weekend at the 2CVGB National in Ripon, North Yorkshire didn’t exactly help! Nor did being at the Prescott Hillclimb for La Vie en Bleu the weekend before. Two weekends on the trot with a healthy dose of whirry twin-pot action. Is there hope for my slumbering snail? There is hope for Elly, but finances dictate that her knight in shining armour (new panels perhaps) isn’t going to arrive tomorrow. Or the day after that. Or the week or month after. Getting her back on the road has become a long-term strategy – one dictated partly by our outright hatred of debt. We just don’t do it – which people trying to sell us PPI deals don’t seem to understand. I did actually put Elly up for sale last weekend, reasoning that it’d probably be better for her if she found a new owner. This led to an entirely expected backlash from concerned friends. Sure, from a financial point of view, Elly’s salvation makes little sense. But perhaps I was wrong to try and rule sentimentality out as a reason to keep her and wait a bit. You see, sentimentality is part of what keeps the classic car world going. Restoring a car can rarely be done for profit. You do it because you buy into that particular car. You sacrifice other items and purchases to keep the vehicle you’ve grown to like on the road. If people started looking at classic cars as nothing more than items of investment or as disposable tat, things would be very sad indeed. At the top end of the market, perhaps the former is already in place. Depressing. No, we do it because we love the emotional thrill of driving older vehicles. Yes, they’re demanding sometimes. Yes, they’re not always particularly brisk and sometimes rather uncomfortable. But on the right road, in the right conditions, the partnership you have with a vehicle can be a truly magical thing indeed. I think I’d better stop there before I disappear up my own backside. 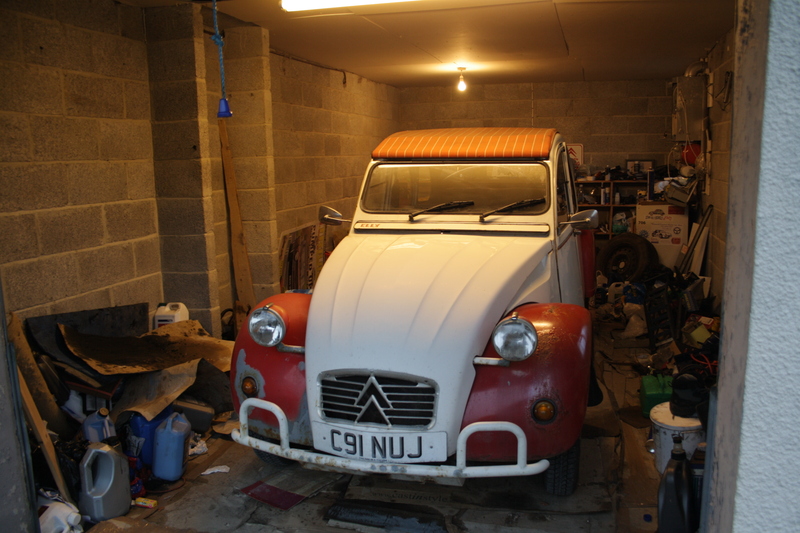 Thanks for reading, and check out this video of me driving another 2CV. One with a big surprise.